New York City-based stylist Daryce Brown-Willis is a master texture manipulator. 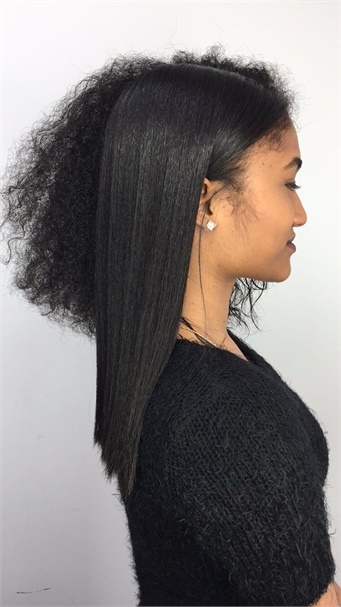 We love her page for her half-head examples of what happens when #hairdressermagic and natural hair combine forces. Learn more about why she made the MODERN SALON 100 list. One of Brown-Willis' most viral Instagram posts. How social media changed my life: It has allowed me to have access to people around the world and vice versa.